Portugal is counting the cost of deadly wildfires which have swept the country for the second time in four months. At least 42 people are known to have died since the weekend and dozens more have been injured as the flames consumed thousands of hectares of Portugal’s forest and farmland. In parliament a minute silence has been held for the victims. Back in June 64 people died, many of them in their cars trying to escape the flames. But among opposition parties and the public there has been growing criticism of Socialist Prime Minister Antonio Costa’s government is over the perceived slowness of its response to this summer’s disaster. “There has been a grave failure to fulfill the most basic duty of the state – to protect the lives of the people,” said one parliamentary critic. The government is now facing a no confidence vote over its handling of the fires. In the meantime Eduardo Cabrita has been appointed as interior minister after his predecessor resigned. 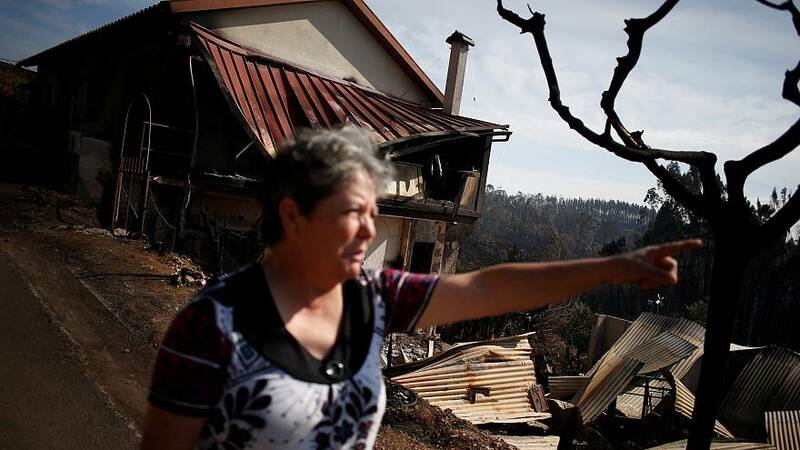 Constança Urbano de Sousa quit after coming under a barrage of criticism since the June blaze. Her former ministry is responsible for firefighters and the country’s protection agency.